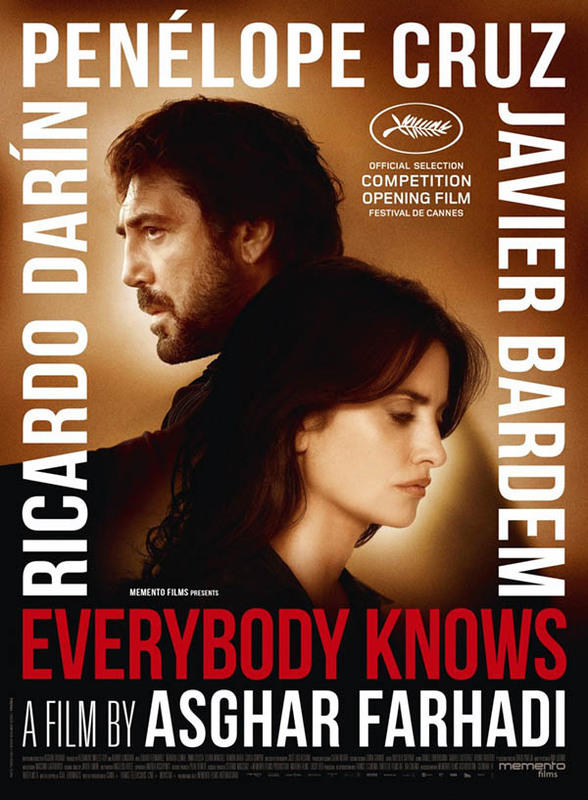 The 2018 Cannes Film Festival will open with the world premiere of Iranian director Asghar Farhadi's Spanish-language drama 'Everybody Knows' on May 8. Iranian filmmaker Asghar Farhadi gained international recognition after his 2012 drama 'A Separation' brought him a Golden Globe Award as well as two Academy Awards for Best Foreign Language Film. He went on to awe the world's audience with 'The Salesman', which recieved 2016 Canne's Best Screenplay Award, and also making him one of the few directors world-wide who have won the Academy Award for Best Foreign Language Film twice. His latest production, 'Everybody Knows' (Todos lo saben), has now been chosen to open the prestigious French film festival this year. The Spanish-language psychological thriller, written and directed by Farhadi, stars the Oscar-winning Penelope Cruz as a mother (Carolina) who travels with her family from Buenos Aires back to her small hometown outside Madrid, Spain, for a celebration. The family's trip is plagued by unexpected events that threaten to tear the loved ones apart. The film also stars Javier Bardem as Carolina's husband. The 71st Cannes Film Festival runs May 8-19.